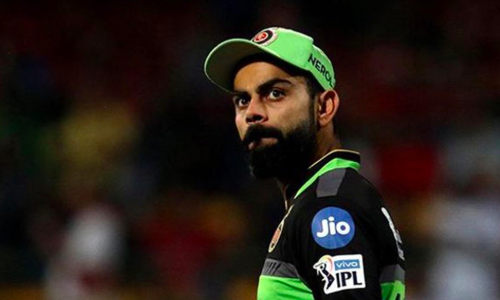 Virat Kohli’s wretched run as captain continued at the Indian Premier League (IPL) after Royal Challengers Bangalore (RCB) were handed a four-wicket loss by Delhi Capitals (DC) in Bengaluru on Sunday. This was the sixth consecutive defeat in as many games for RCB as they continue to search for their first win two weeks into the season. Kohli, however, chose to appear uncharacteristically calm while addressing team issues during the post-match presentation. He said: “When the mind is cluttered you wouldn’t be focused on the chances that come your way. Clarity of my mind is important specially if you want to take the 50-50 chances. Kohli, however, expressed disappointment at his team’s dropped catches. Among the ones that were dropped, DC captain Shreyas Iyer being given a lifeline batting on four perhaps hurt RCB the most as he went on to score a match-winning 65. No wonder, RCB are languishing at the bottom of the table with a NRR of -1.453. They will hope to come out all guns blazing in their next contest, scheduled against Kings XI Punjab come Saturday.